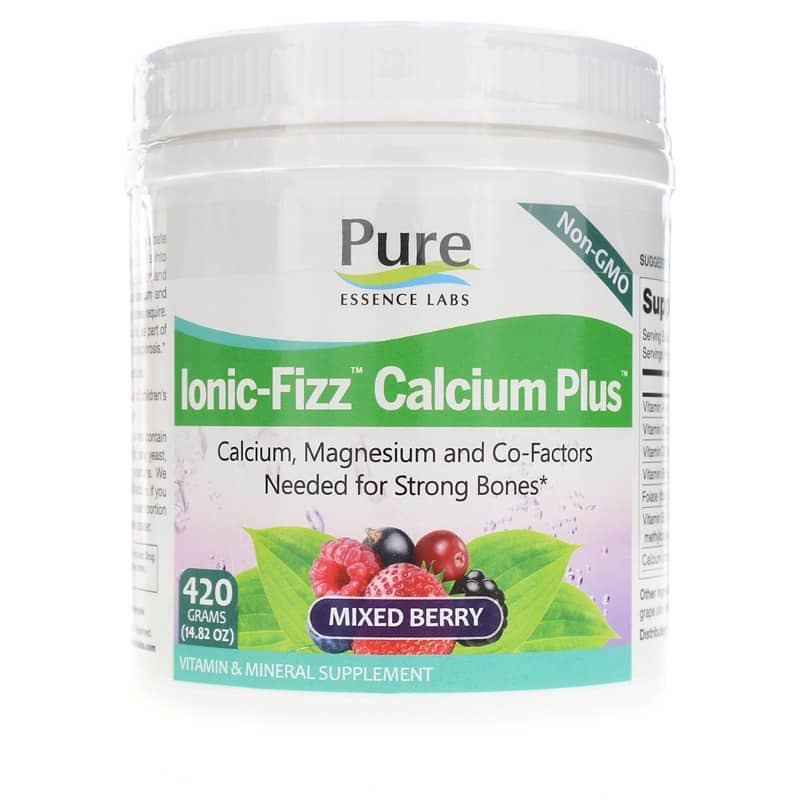 Ionic-Fizz Calcium Plus from Pure Essence Labs is intended to promote bone health with calcium, magnesium, vitamin D3, and vitamin C.
Magnesium, calcium, and boron may all contribute to bone density and strength. Calcium may also help muscles to contract. 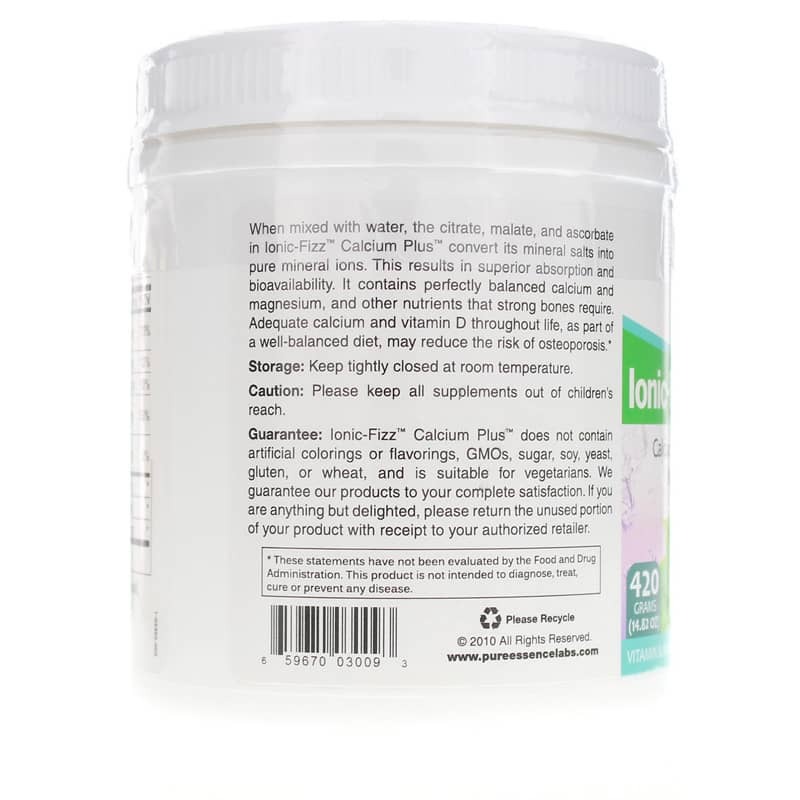 Calcium, magnesium, and potassium are electrolyte minerals that can be lost as a result of perspiration. This supplement may be a good way to replenish electrolytes during exercise. 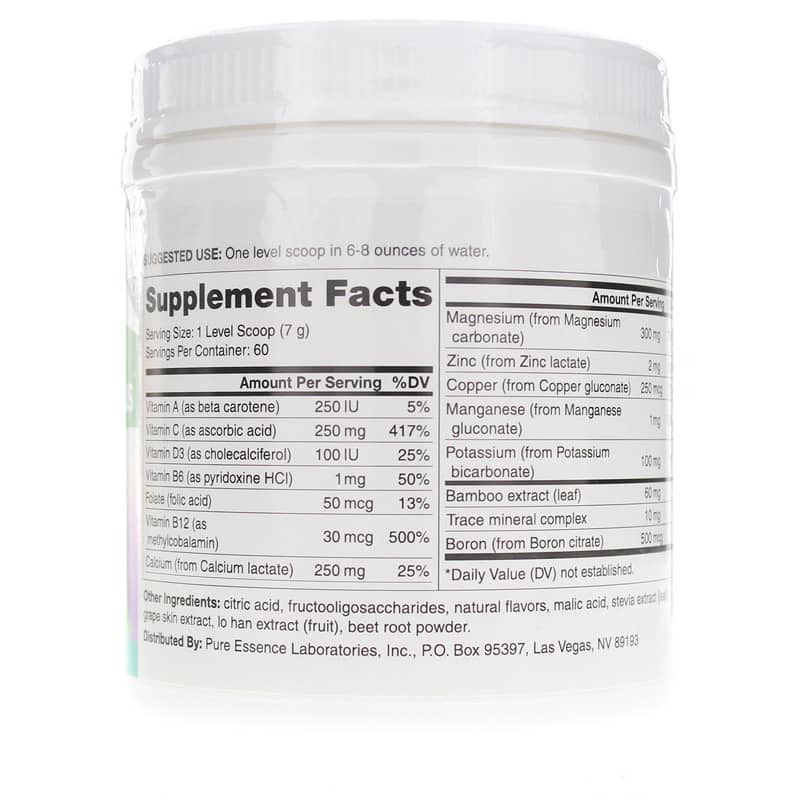 In addition, this supplement includes vitamins D3 and C. Vitamin D3 may promote bone health by helping the digestive system to absorb calcium and by aiding the bone cells in their work of building bone. Vitamin C may also help maintain bone mass, and because of its role in the production of collagen, it may also help to promote the health of joints. Adults may drink one level scoop of the supplement mixed into 6 to 8 ounces of water. Other Ingredients: citric acid, fructooligosaccharides, natural flavors, malic acid, stevia extract (leaf), grape skin extract, lo han extract (fruit), beet root powder. Contains NO: artificial colorings or flavorings, GMOs, sugar, soy, yeast, gluten, or wheat and is suitable for vegetarians.